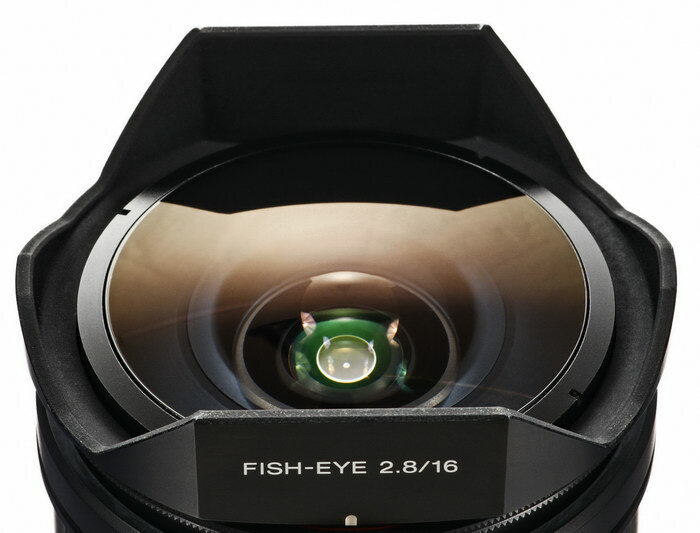 Here's a brief look at the Sony 16mm F/2.8 Fish-eye lens. Scroll down for the main review. Front cover, rear cap and users manual. Full frame and APS-C, Sony says equivalent to 24mm, but is more like a 16mm lens. Has built-in filters, but will not accept conventional filters, and no rear gel slot. 2.91" x 2.64" 74mm x 67mm. The Sony A900 was used for this review. For a better understanding of terms and methods used in this review, go here. 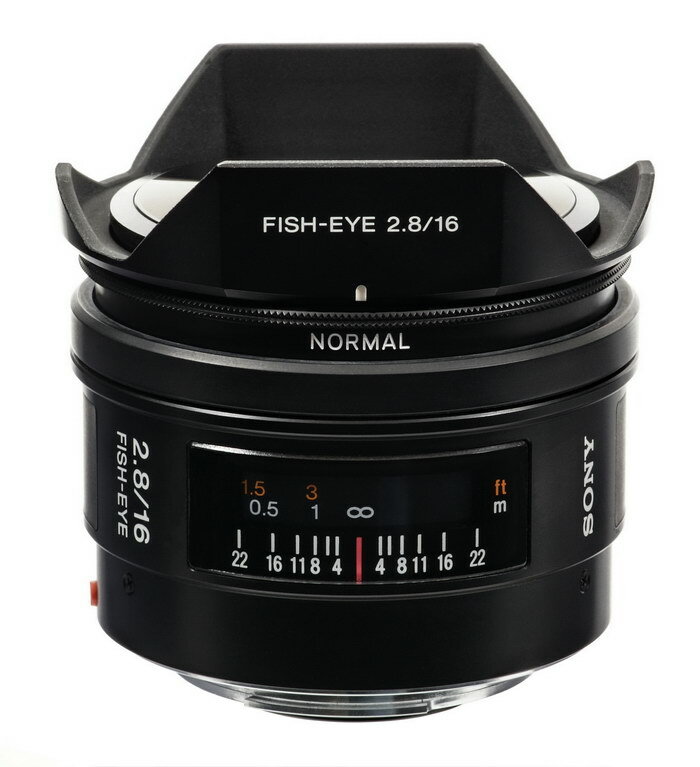 The Sony 16mm F/2.8 fish-eye lens (made in Japan) is a special purpose lens, made for fun, and is not intended to be used by annoying prudish people that take pictures of test charts. Proper use of this lens means jamming it squarely into the scene or subject at close focus, and/or off-center shots with straight lines exacerbating the already massive distortion. 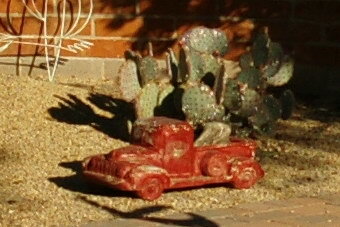 My preferred use is close-focus type shots that severely exaggerate the scene or subject. You can't appreciate what this lens can do unless you go out and play with it. Interestingly, and not widely known is that the area of coverage of this fish-eye is much more expansive than a conventional 16mm lens, so you can't get exactly the same results in some photo editing distortion software. Also, this lens begs to be used on a full frame camera, and use on an APS-C camera greatly diminishes both the distortive effect and area covered. If you want a 180° fish-eye lens for your APS-C camera, buy one built specifically for that sensor size, so you'll get the full effects for less money. 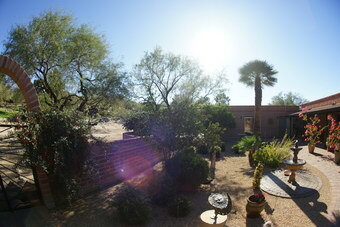 Go to the Vivitar 7mm F/3.5 fisheye review, which performs great! 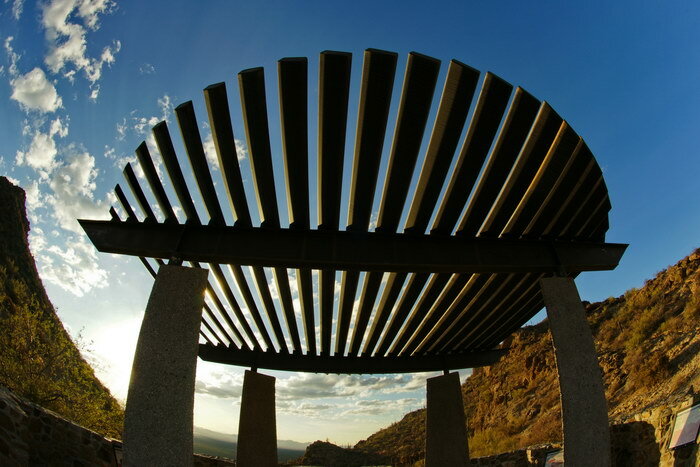 The Sony 16mm F/2.8 fish-eye is a full frame fish-eye, meaning the image covers the entire film or sensor frame. A circular fish-eye produces a circular image in the middle of the frame, and everything else is black. On the outside, there is the standard Sony matte black finish, with a rubber grip area around the bottom of the barrel. There is a built-in lens hood, so forget about conventional filters and the standard lens cap. This lens uses a soft cover that fits over the hood, but I don't have one to show. There are also built-in filters for film use. Also present is a focus distance window and depth of field marks below the window at F/2.8, 4, 5.6, 8, 11, 16 and F/22. In the last couple of product shots above I removed the bulbous front element and exposed what I thought was the filter apparatus, though I don't know why I did this. Interestingly enough, the metal levers visible in the second to last shot above do not move when turning the ring and changing filters, so I wonder, what do they do? 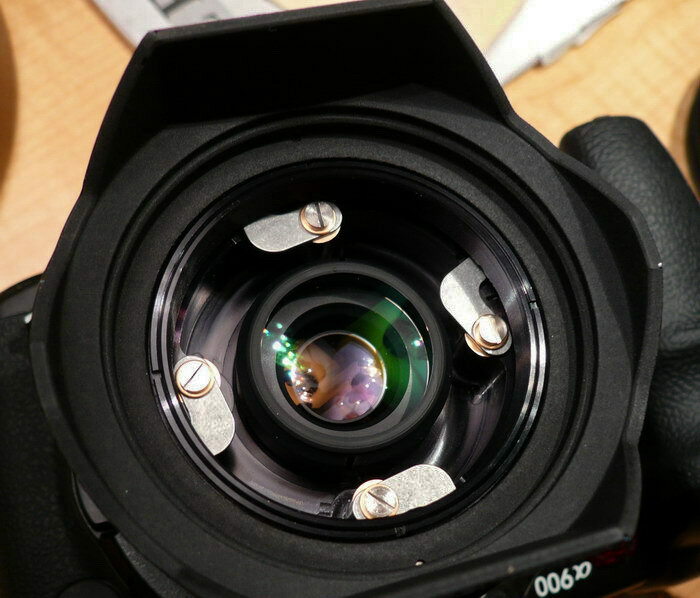 I didn't feel like wrecking the lens, like I wrecked this lens, so we'll just have to continue to wonder, unless someone can shed some light light on the issue. Let's talk more about the rotating filters that are built-in. There are four filters on this lens, Normal, 056, A12, and B12. There is no rear gel slot so you're stuck with these four. Normal; official name; Normal. Clear, probably just a UV filter. A12; official name; Blue reduction filter. 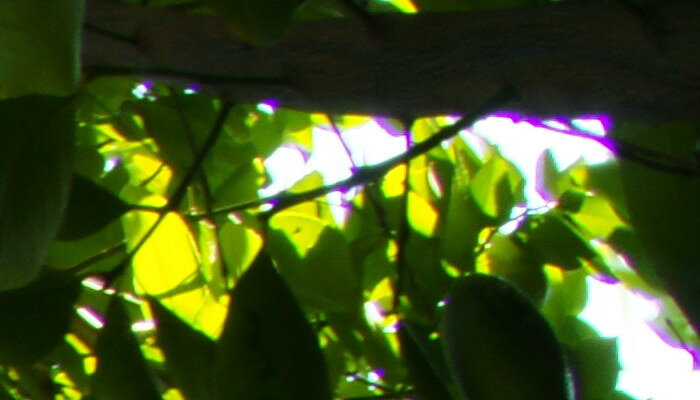 Amber, originally used to remove bluish affects from daylight film (like morning shots outdoors). Looks slightly warm. You lose about 2/3 stop. Can be used on Digital, but why? 056; official name; Monochrome contrast filter. Orange, for B&W film, adds contrast between sky and subject, and similar to a cloud filter back in the day (although they were usually yellow). Don't use this as a "warming" filter or you'll be sorry, it's too orange, and is impossible get out in post processing. You lose about one stop of shutter speed. B12; official name; Red reduction filter. Blue, used for indoor photoflood lighting with daylight film. Don't bother with this filter unless you're looking to cool something down, but just use your white balance for better control. You lose about one stop of shutter speed. Bottom line; keep your hands off these filters unless you're shooting film. Incidentally, it's kind of tricky to turn this filter ring, you must grab the very narrow ring at the top, then push down and turn to the desired filter, and it will snap in place when centered correctly. It's easiest to change the filters when the focus is at the close setting, or extended fully. EXIF data reads 16mm. As far as I can tell, the particular filter used in a shot is not stored in the EXIF data. Focusing. Fairly quick, with a 1/4 turn from close-up to infinity. Accuracy at infinity is perfect at the infinity hard stop. 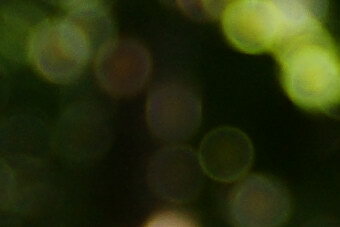 When focused close, the lens extends out 2mm, and is shortest at infinity. As alway, when using an ultra-wide lens, make sure you actually focus on your subject, the camera AF doesn't always know what you want to focus on when you have such a huge area with different objects and distances involved. Note; you can focus for the image periphery, and it'll be noticeable in the viewfinder, but don't do this because your subject will be out of focus. If you stop down hard, like F/22, you can get just about everything reasonably in focus from about 1 foot (300mm) to infinity, focused at infinity. On a minor note; be sure and keep your fingers clear when focusing, or when holding the lens while shooting, I noticed my finger popped up in a few images on the lower left corner. In the box is the lens, owner's manual and warranty card, a front cover (not shown but think of the 500mm F/8 reflex front cover) and rear cap. Lens flare/ghosting. Fair control. I see mostly magenta ghosts when the sun is in the image, which is quite often! Color fringing (CA). Lateral color fringing control by today's standard is poor. see example farther down the page. You see some axial color fringing at F/2.8, but it's mostly gone by F/4. 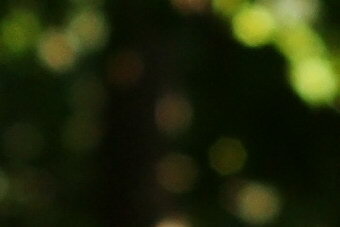 Bokeh. Somewhat harsh looking at F/2.8 because of hard edges, but smoother at F/4. Don't worry about background blur with this lens, unless you focus on something very close with a large aperture. Coma. Shows a small and nearly insignificant amount at large apertures, see below. Regular filters cannot be used, and there is no rear gel slot. Filters are built-in but don't use them with digital. Distortion. Massive, and by design. This is the intentional distortion created by this lens, I just took this standard test shot to show you how much you can expect. Full frame cameras bring out the best in this lens, and that's massive distortion, and the 180° field of view. 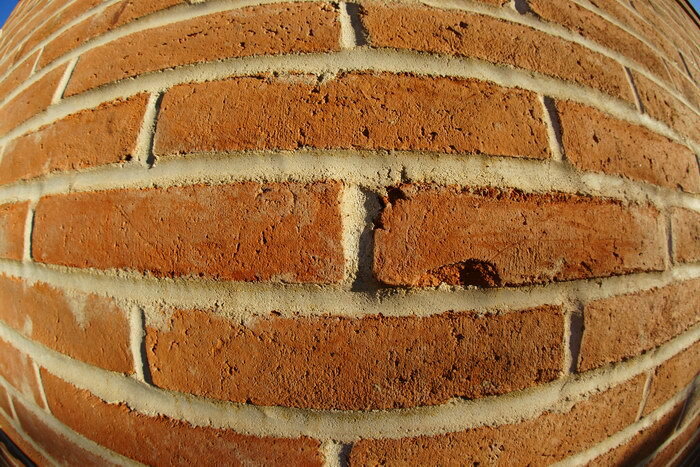 Notice how the adobe wall seems to "bulge" out. 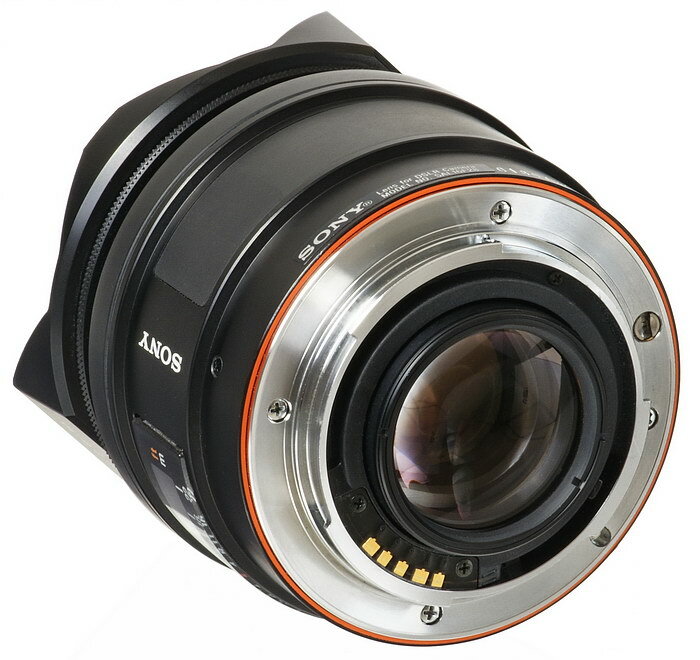 I wouldn't bother using this lens on an APS-C camera, such as the A700 used here, the distortion and field of view makes it look like a wide angle lens with bad distortion control. Both shots from each camera were taken from the same point. 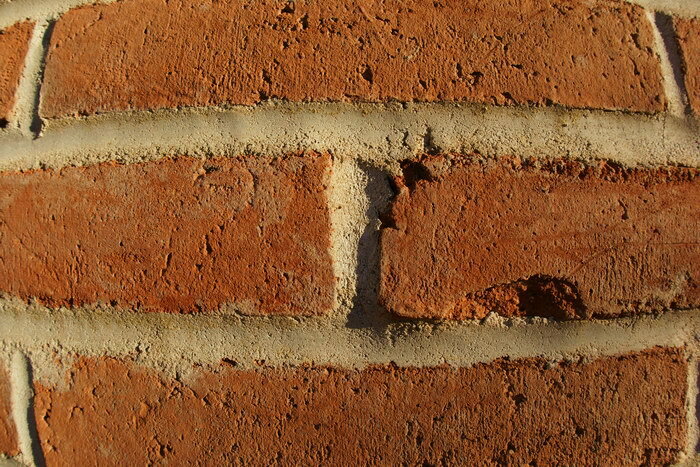 The F/2.8 crop shows hard edges on the circles, but one stop down to F/4 and things look smoother. The crops above were taken from the middle of the image. I wouldn't worry much about noticing "bokeh" on this lens unless you're shooting at the minimum focusing distance with a large aperture. Ghosting control is fairly poor, as seen above. When the sun is in the image, (plan on it if it's sunny out), there are magenta blobs clearly visible, but severity depends on angle and aperture. As you stop down, you'll see a ring or two around the sun when centered. Don't try to use your hand to block stray light, as you will probably get your hand in the image, and won't notice it until after you download your images to your computer. Wash-out from the sun seems to be well controlled. Light fall-off is mild to moderate at F/2.8, and is nearly eliminated a stop or two down. Close focus with a wide open aperture shows less light fall-off than at infinity focus. The lines at the lower left corners are from the edge of the panel I used for measuring light fall-off. 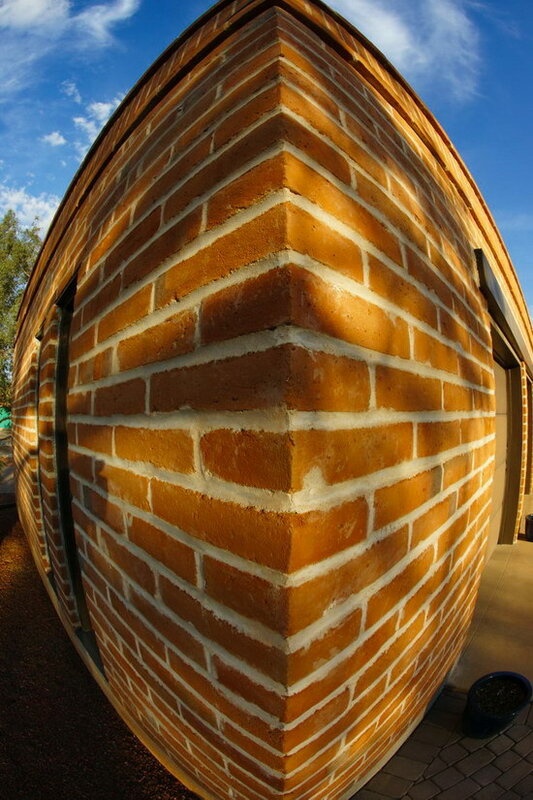 This is a 90° corner from a house, the distortion makes it look like a ship's prow. In this picture, the left and right side mountains behind the gazebo appear much steeper than in real life. 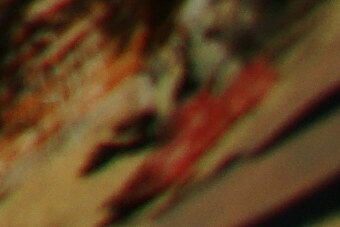 Even in this small image, color fringing is noticeable along the outline of the left mountain. 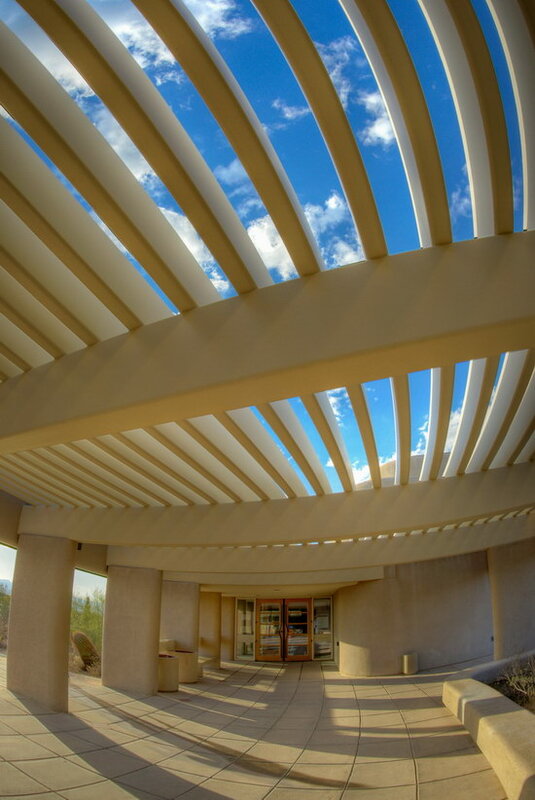 This architectural shot displays what this lens will do to straight lines near the edges. The roof line of course is straight in real life. 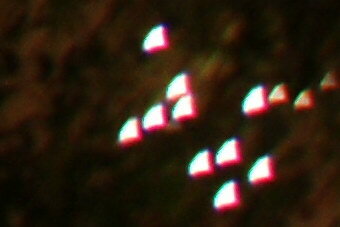 Notice the ghosting at middle right. 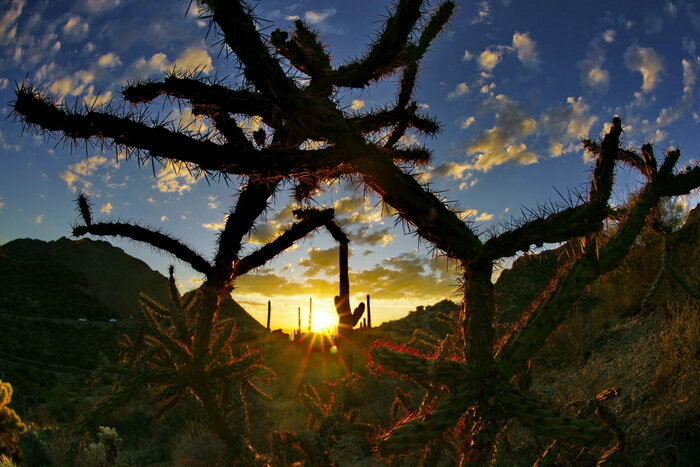 The camera was jammed inside this Cholla cactus, allowing a close cactus and expansive mountain view, F/16. 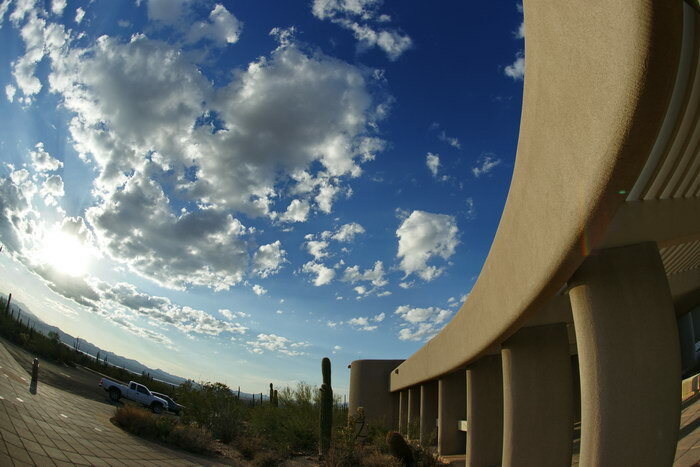 Architectural shot of the Red Rock visitor's center building at Saguaro nat'l Park east, Tucson, AZ. I was able to put the camera inside the window frame for this shot at F/22, and get the window opening, roof line and distant scene all in one. 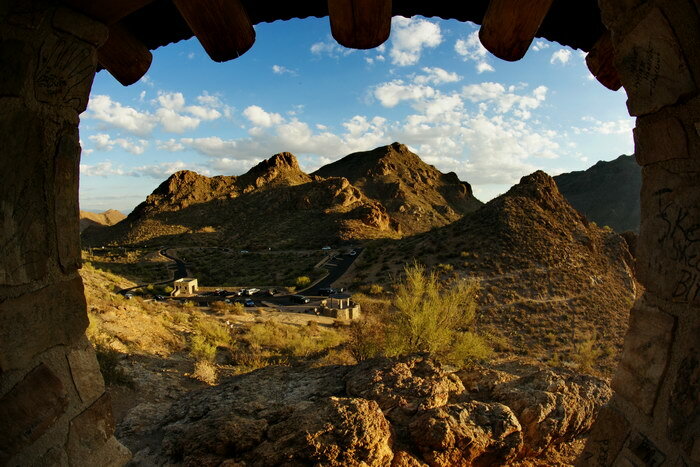 Scene is Tucson Mountain Park, and Gates Pass. Notice the twenty-first century hieroglyphics inside the window frame. This image was taken a few inches away from the flowers at F/22. This shot illustrates what will likely happen to you at least once if you're not paying attention. Although I deliberately got myself in this shot, there were several shots where I found my shoes somewhere along the bottom edges of the image. 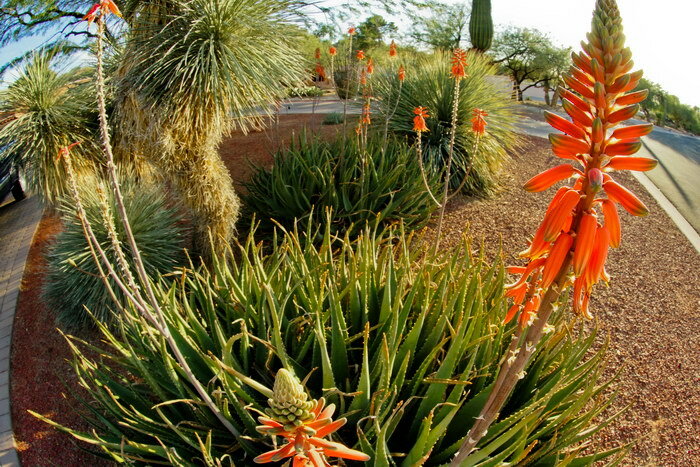 All images above are full, resized images, and are unique to the distortive qualities and 180° coverage of this fish-eye lens, a conventional 16mm lens would not produce anything similar. The centers look good at F/2.8, and don't seem to sharpen up much by closing the aperture, that's typical of ultra-wide angle lenses though. The corners are a different story. Due to the design of this lens, and the way it's normally used, the corners don't look too good until stopped down to F/11. 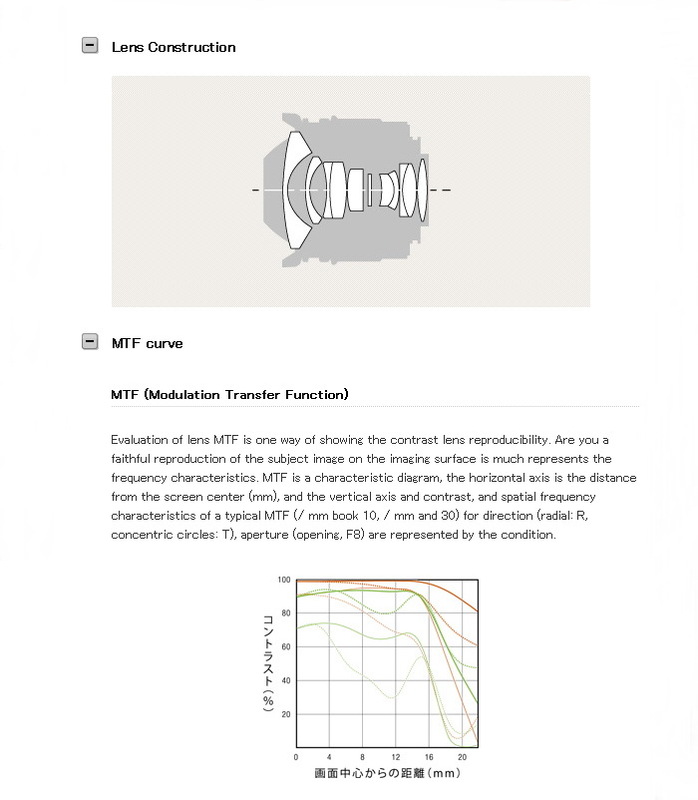 This lens covers a huge area, and as a consequence, the distances apart for center objects and periphery objects can be enormous, so if you focus on the centers, or infinity, the objects in the corners may be physically much closer, causing them to be out of focus, and stopping down the aperture increases the depth of field, and helps bring everything into focus. You can also see some lateral color fringing in the corner crops, which doesn't go away by stopping down, check more out below. Here's some good old fashioned purple fringing, like you used to see in some fixed lens camera's not too long ago. This crop was taken from the last 700 pixels at the right top of the original image. This CA is pretty strong, and does show up in smaller, screen size shots. Coma is not something to concern yourself with on this lens. If you're bothered by stuff like this, then you probably can't appreciate the intended purpose of this lens. Exposure differences are from light fall-off. Comparison of coverage using conventional 16mm lens. 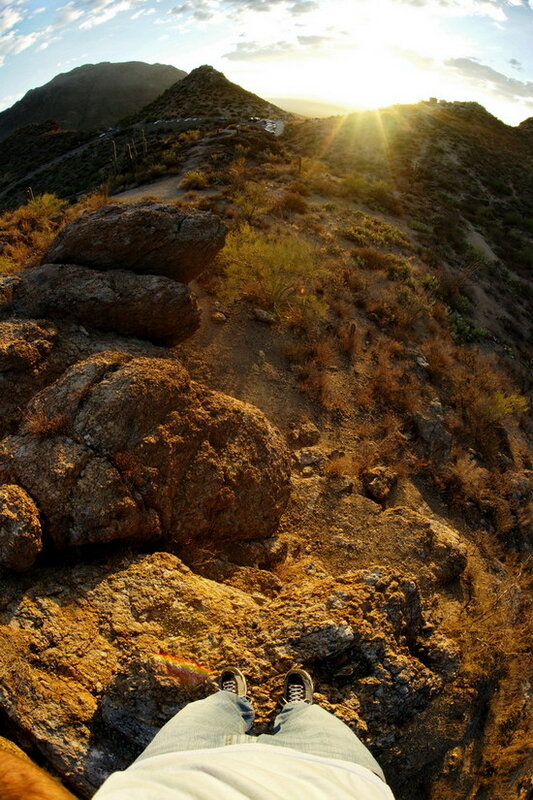 This shot was taken with the Sony CZ 16-35mm, at 16mm, F/2.8. 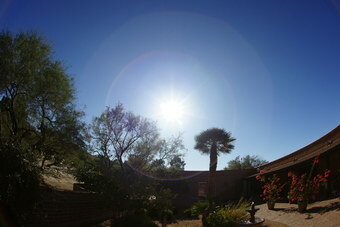 This 16mm fish-eye shot shows the huge coverage difference between a conventional 16mm lens and 16mm fish-eye. Both images were taken at the same spot, at F/2.8. 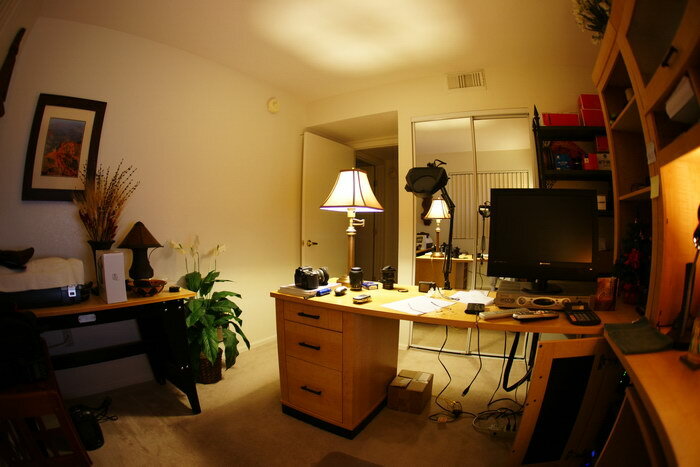 You can see some axial color fringing at the lamp shade in the center with the fish-eye lens. 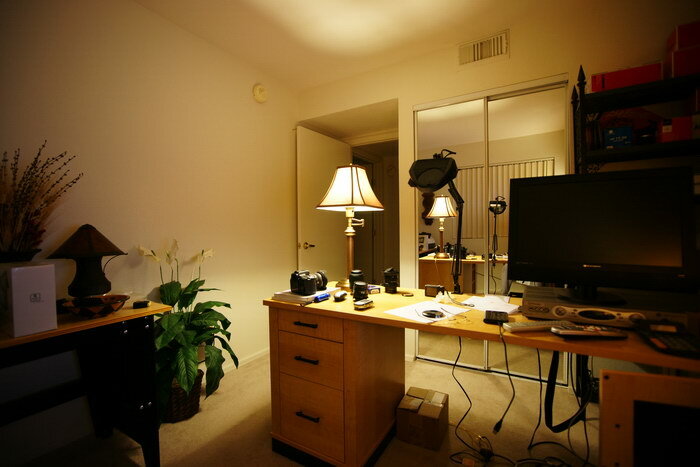 The scene here is my office where this wonderful site is generated, and the entire room measures about 10'x10'or 3.05m x 3.05m. Initially, I didn't think I would like this lens, but after a full month of experimentation, I've decided I really like it, and may use it instead of my Sigma 12-24mm lens because of the massive coverage, which is my "thing." I like the extraordinary perspective you get with this lens, and not so much the distortive effects, but that's just me. Because the strongest effects occur at the image periphery with a full frame camera, for which this lens was designed, those same effects are almost lost on an APS-C camera because of the cropped image. As stated in the beginning of the review, if you're a technical geek type that likes to annoy people with a disdain for non-perfect lenses, and "improper" shooting methods, do not buy or use this lens. This fish-eye is meant for fun, there is no right or wrong way to use it, although you may be disappointed if you simply use it to try and "get it all in" or whatever. This is a pretty easy lens to use, and due to the "fun factor" you don't have to worry about sharpness, distortion, and all the other stuff that has little to do with making a good picture, just make sure you focus on the intended subject, or manually focus, which I always do when using an ultra-wide lens. If you're outdoors, stop it down hard and you won't have to worry much about focusing. The only negative thing worth mentioning is the poor color fringing control, but that's not a deal killer. You can get rid of the axial type by stopping down, and the lateral type along the sides can be removed in some image editing software. I tend to want to use this lens jammed up close to something, and stopped down to F/22, that's probably 90% of my shots, other people may like the massive distortion caused by the lens. In any case, the Sony 16mm F/2.8 fish-eye is a fun lens to use, and I encourage people to just go out and start shooting, and see what kind of crazy looking images you can generate by the end of the day. Sony could help the sales of this lens if they re-designed it without the film filters to make it less expensive, while doing a better job at marketing the lens, I don't think most people are aware of what the lens will do. Cost conscience people may want to look at Sigma (or other after-market supplier) for this lens, especially if you need one for exclusive use on an APS-C camera. APS-C users check out the review of the Vivitar 7mm F/3.5 fisheye lens, it's built specificallly for APS-C cameras, and costs a lot less than the Sony 16mm fisheye.